Buyer Helpful Resources & Blog Posts - Showpig.com - Online Auctions, Industry Directory, Breeder/Seller Resources, and more! 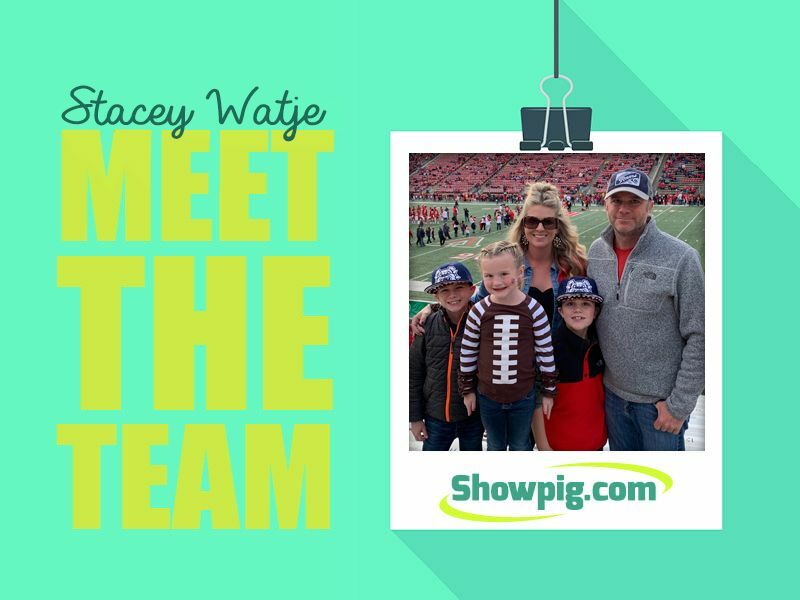 We may be partial, but we think the Showpig.com team is one of the best in the country. With that said it’s high time we introduce ourselves, for those of you who haven’t met us. We hope that you enjoy these glimpses of the folks running auctions, answering phones and sending you emails. 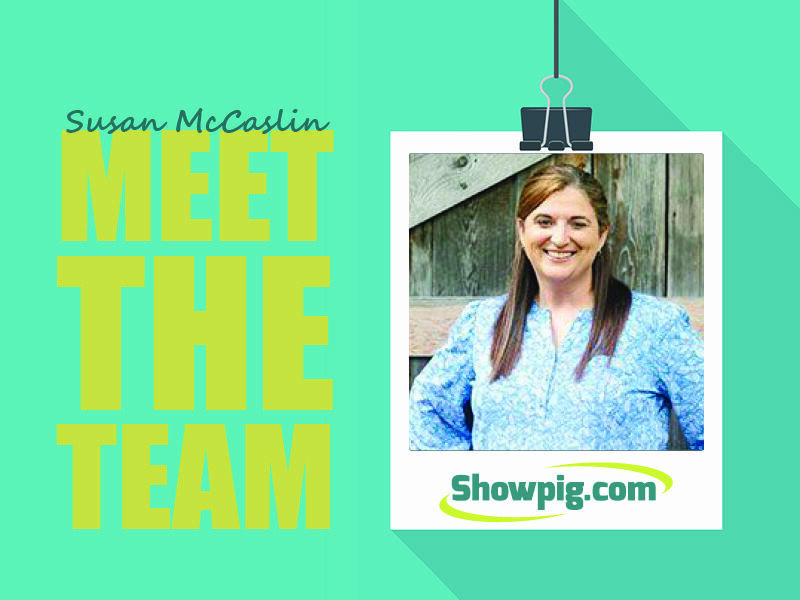 Remember, if you want to learn more about the staff member helping you, you can always visit the Meet the Team page at: https://showpig.com/meet-the-team/. 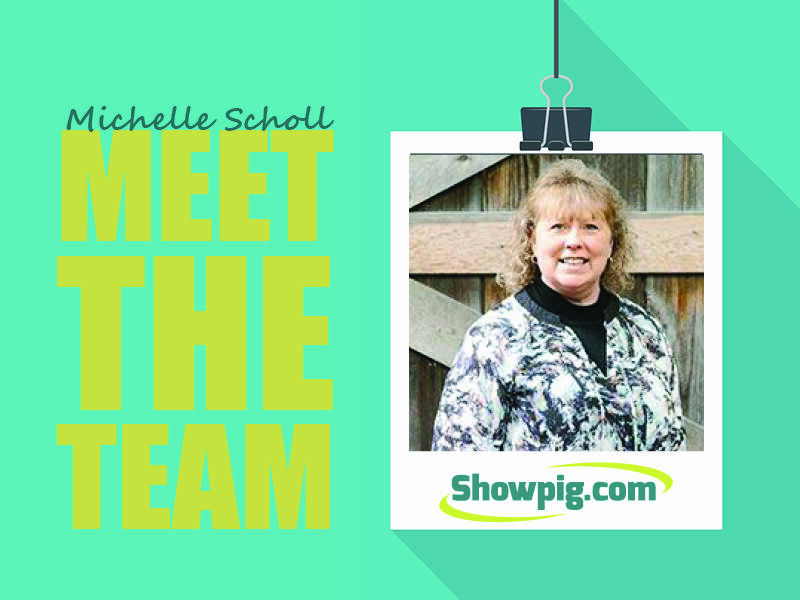 We may be partial, but we think the Showpig.com team is one of the best in the country. With that said it’s high time we introduce ourselves, for those of you who haven’t met us. 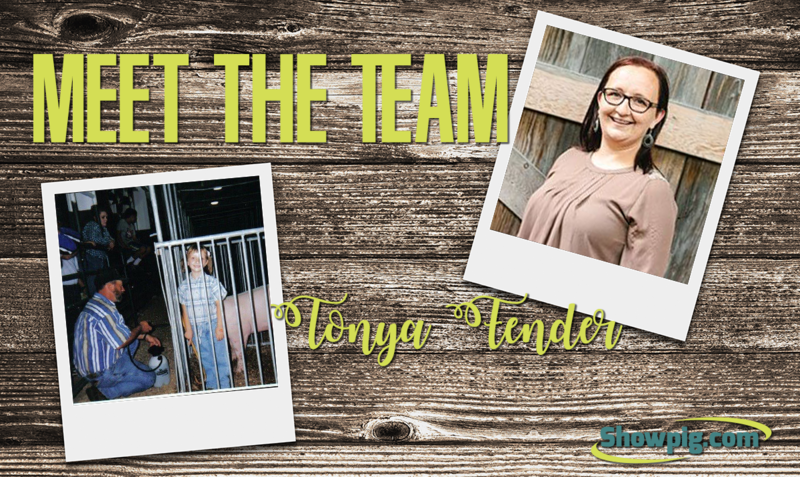 Over the next few weeks, we’re going to introduce our team members one-by-one, so you can learn more about those behind the brand. We hope that you enjoy these glimpses of the folks running auctions, answering phones and sending you emails. 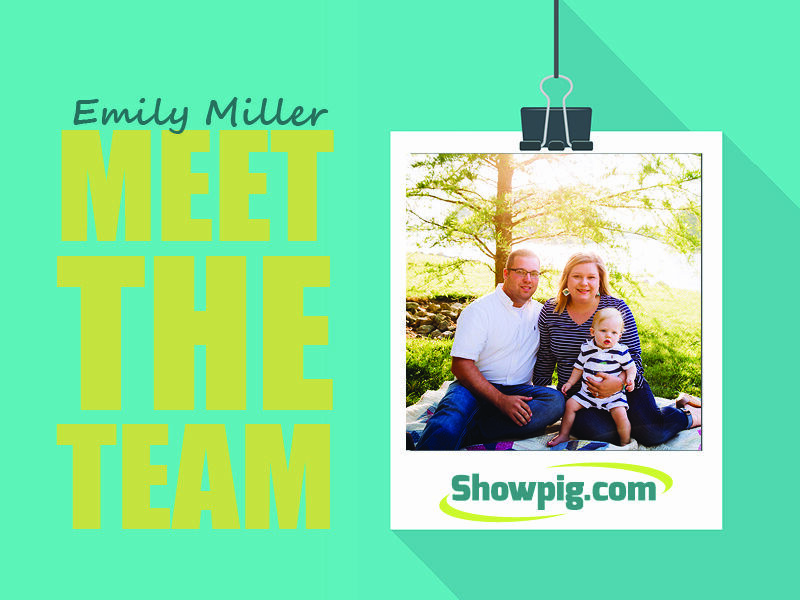 Remember, if you want to learn more about the staff member helping you, you can always visit the Meet the Team page at: https://showpig.com/meet-the-team/. 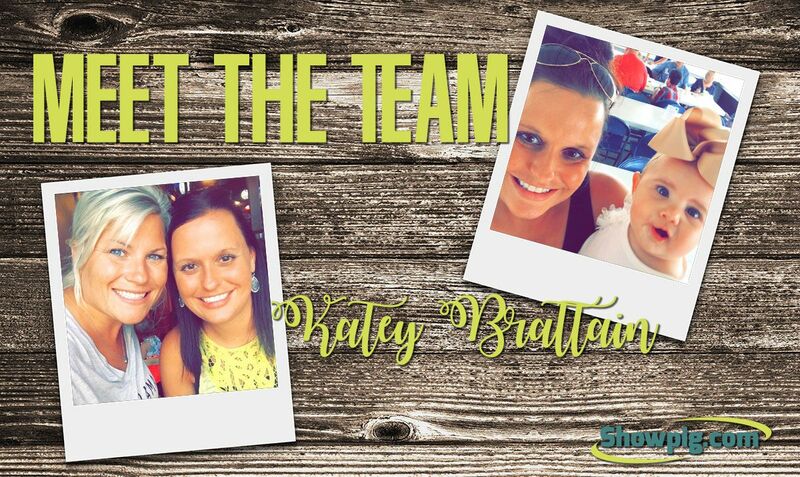 Today, we’re highlighting Katey Brattain, Online Auction Account Manager & Advertising Coordinator. The Showpig.com team is in Springfield, and we have all kinds of ways you can be entered to win Showpig.com swag this week. 1. Go to the Showpig.com Facebook page Select “Following” under our banner. Check “See First” to make sure you never miss a Showpig.com post. We will be giving away new Showpig swag all week, and any time you comment, react or share you’re entered to win. 2. Just snap it! Add “showpigcom” on Snapchat to keep up with our team all week, and Snapchat your friends using the Showpig.com geo filter. Post your favorite Snaps on our Facebook page to be entered to win new Showpig.com gear. 3. Recharge your batteries at the Showpig.com charging station. Chances are you won’t be able to Snap, comment, like or share with a dead phone, and the more you engage with the Showpig.com social media, the more chances you have to win. 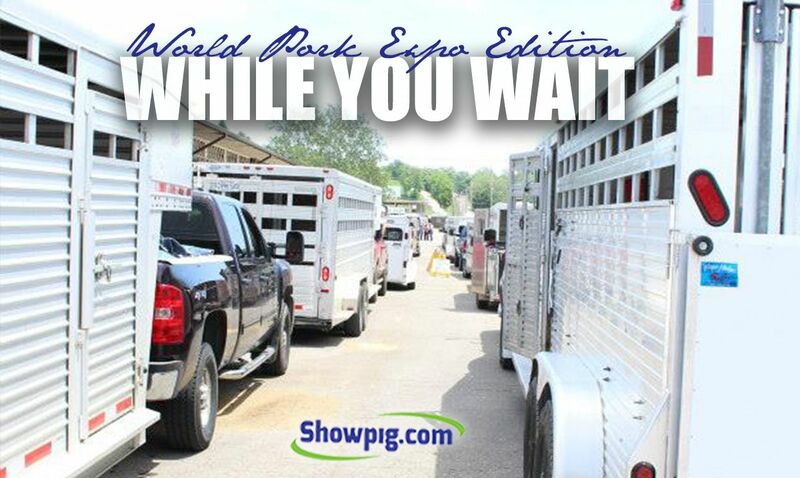 If you’re bringing gilts and barrows to the WPX Junior National, then there is a very good chance you’re reading this on the road or waiting in line to unload. We know, because we’ve been there. 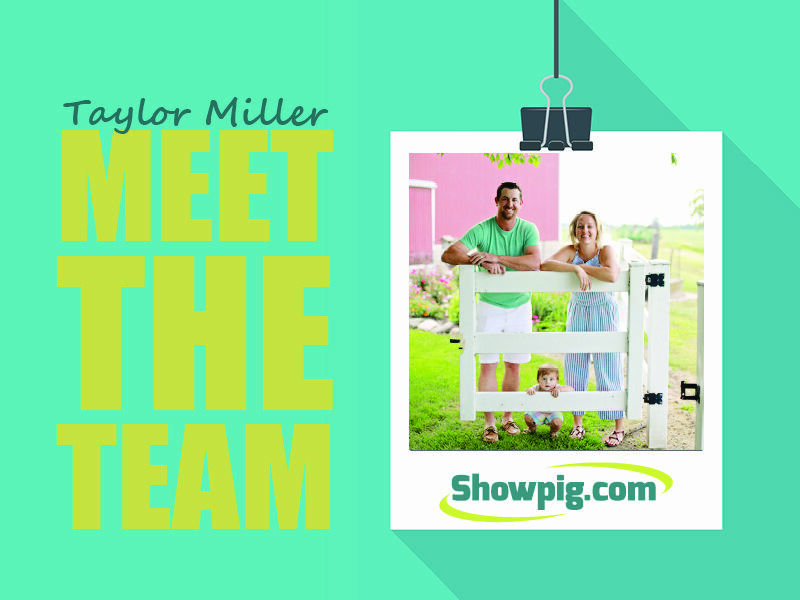 No one enjoys sitting in traffic with a trailer of showpigs on, but the Showpig.com team has you covered. We have five things you can do right now to help you pass the time. Go to the Showpig.com Facebook page. Select “Following” under our banner. Check “See First” to make sure you never miss a Showpig.com post. 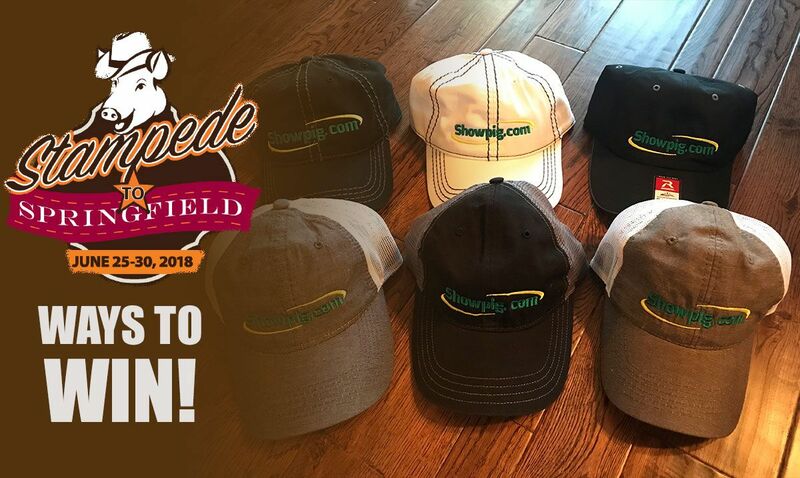 We will be giving away new Showpig swag all week, and any time you comment, react or share, you’re entered to win one of our daily giveaways. Snapchat your friends using the Showpig.com filter. After all, if you don’t Snap something, did it actually happen? Then, post that chat to our Facebook page to be entered to win our daily giveaway. You may even see your Snap in our WPX coverage this week. 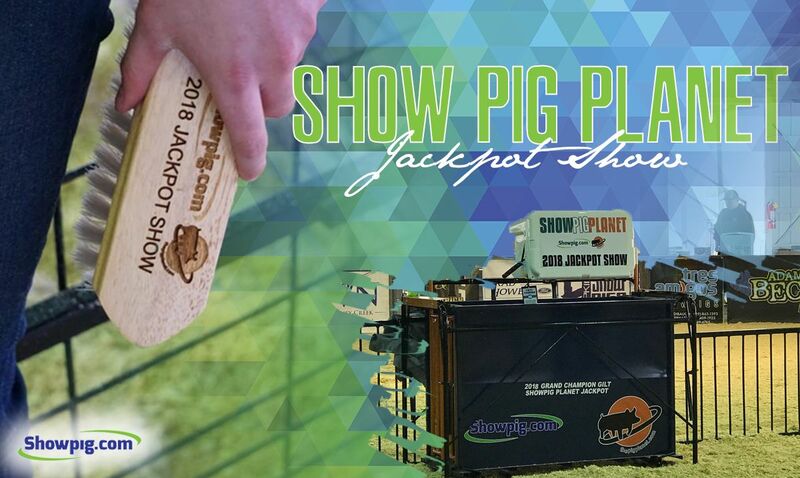 The Showpig.com and Pig Planet team wants to thank everyone for a successful Show Pig Planet Jackpot Show. A total of 480 head were sorted by barrow judge Jeremy Cantrell and gilt judge Mark Hoge. Thank you to our ring sponsors: Upperhand Genetics and LTW Apparel. Additional thanks to these supporters: Stohlquist Showpigs, Ottenwalter Showpigs, Platt Showpigs, Kent Brattain & Family, Olson Farms, Albright Swine Farm, Bobell Farms, Ricker Showpigs, Lawyer Show Pigs, Knauth Showpigs, Boling Showpigs, Sanders Showpigs, Thayer Show Pigs, N & P Showpigs, Used Livestock Equipment, Showbarn Quality Equipment, Shaffer's Goldrush, A Cut Above, Genetic Edge, Baade Genetics, Apex Sires, Cornerstone Ventures LLC, Hi Point Genetics, Laird's Premium Blend Genetics, Chad Hill Durocs and Hill Stud, Upperhand Genetics, WD Swine Farm, Sunglo Feeds, Kent Show Feeds, Harvestland, Lubrisyn, Extreme Natural Stride, Show-A-Peel, Branded Show Gear, Kwest Communications, Show Pro Speciality Products, The Pink Pig Boutique, Show Coat Solutions, Steve Mapes Photography, Rinehold Tack and Western Wear, LulaRoe Kim Caldwell, The Showtimes Magazine and Katie Lewis. 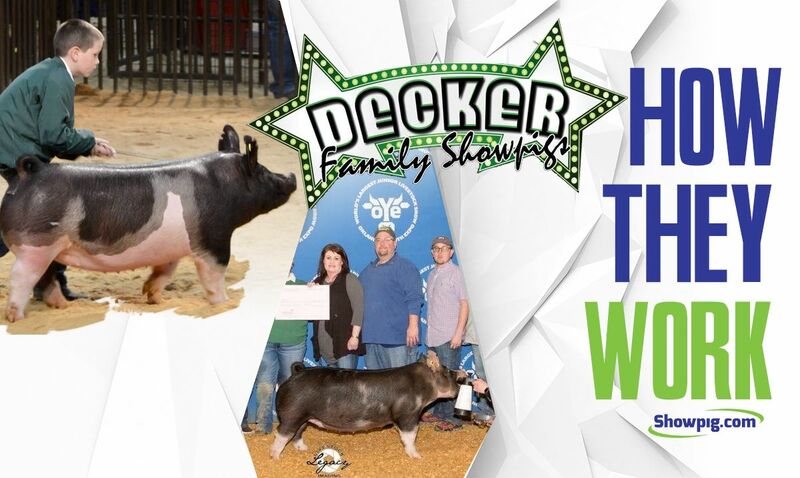 Check out these results from the Show Pig Planet Jackpot! Learn How They Work at Hi Point Genetics. 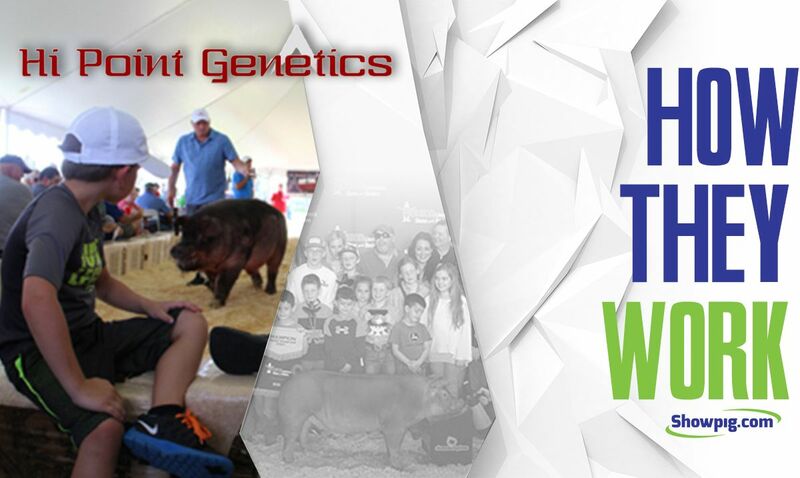 What is your goal at Hi Point Genetics, when raising showpigs? Hi Point Genetics of Chrisman, Illinois, work each day to make showpigs better, but this doesn’t stop at the backdrop. “Not only better in terms of making it to the backdrop, but also better in the sense of being a successful project for the buyer. We feel that if we can make the customers life better, then we have had a successful exchange,” Mike Miller says. 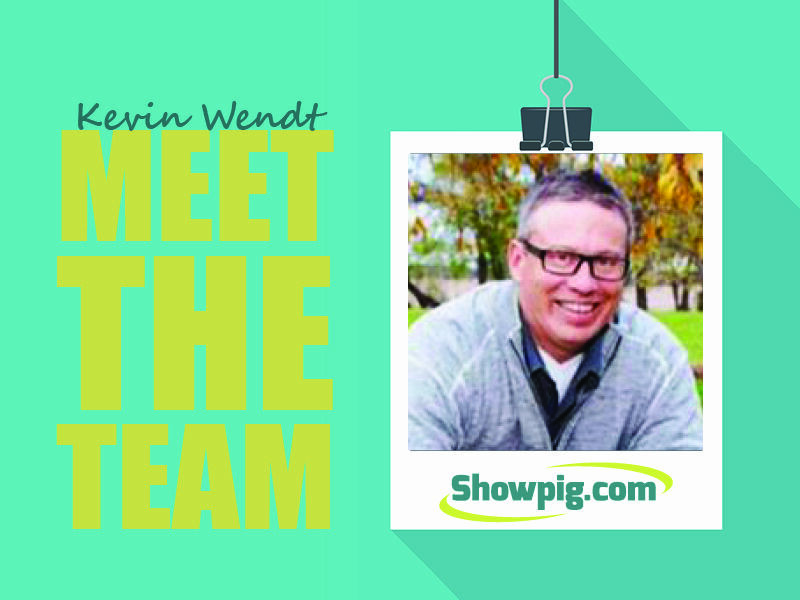 Chad Decker tells us how they work at Decker Family Showpigs. We’re a small, 25-sow operation, raising crossbreds, Berkshires and Durocs. What is your goal at Decker Family Showpigs when raising showpigs? 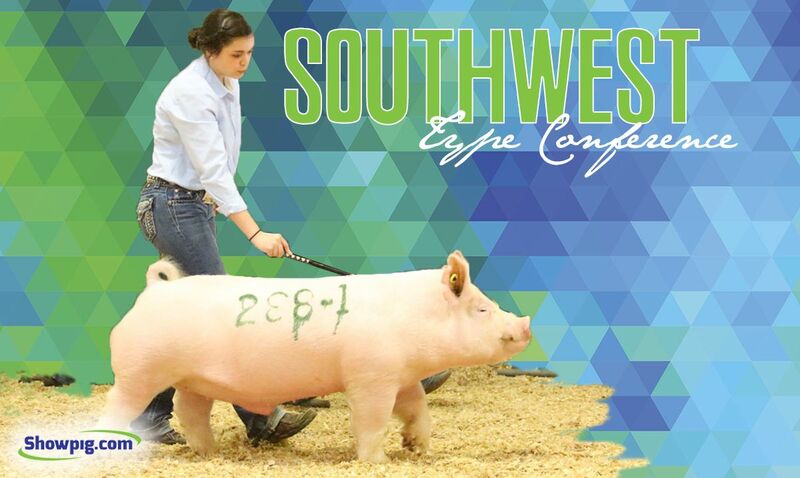 We try to make highly competitive showpigs, at the state and national level. The amount of winners we have been able to produce with such few sows. Have your Showpig.com purchases found their way to the backdrop? If so, upload your photo to our winner’s submissions page. All winners will be eligible for prize drawings held throughout the year, and they will be featured on our champion’s page. Speaking of winners, check out these results from the Southwest Type Conference!